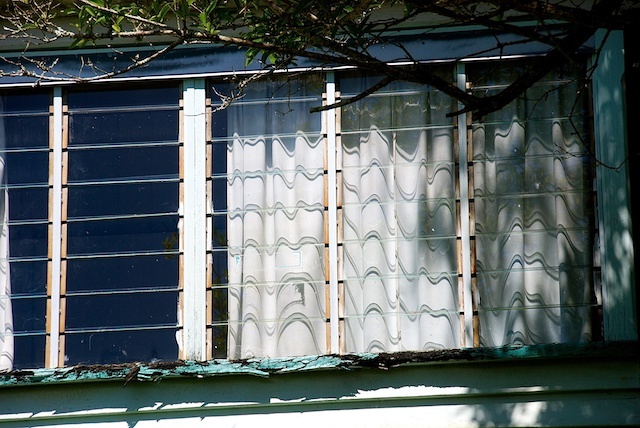 There is lots to observe in the windows of a stranger's house, but I particularly like the way the shadow from the overlapping louvre blades makes a pattern on the fabric. I'm sure it would cost a fortune to buy it like that. As a Painter and Decorator I love the window sills Itll take more than a coat of paint to fix those.